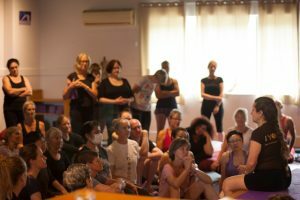 Lois Steinberg (Ph.D., CIYT Advanced 2, C-IAYT) is one of the world’s most experienced yoga instructors awarded the Advanced 2 certification by B.K.S. Iyengar himself. Lois Steinberg has over 30 years of experience studying with the Iyengars & attending RIMYI. Lois is also the author of numerous books and articles and is widely respected. Gulnaaz Dashti has studied directly under BKS Iyengar, daughter Geeta and son Prashant for over 20 years. She has been teaching at the Iyengar Institute in India for the last 14 years and runs therapeutic classes. Carole is the principal of Darwin Yoga Centre and has been practicing and teaching for over 20 years. Carole holds a Senior Intermediate Level 2 Iyengar Teaching Certificate. She has taught interstate, in Singapore, Canada, and the United States. James Murphy is the Director of the Iyengar Institute of New York. He began practicing yoga in 1988 and has taught since 1990. He has made ten extended trips to India to study with B.K.S. Iyengar and Prashant and Geeta Iyengar. proficiency in philosophy, postures, Yoga therapy and teacher training. She has also taught extensively abroad. She founded The Yogic Path in 1999 & the author of four books on Yoga, all published in many languages. Garth McLean is a senior teacher, holding an Intermediate Sr III certificate. 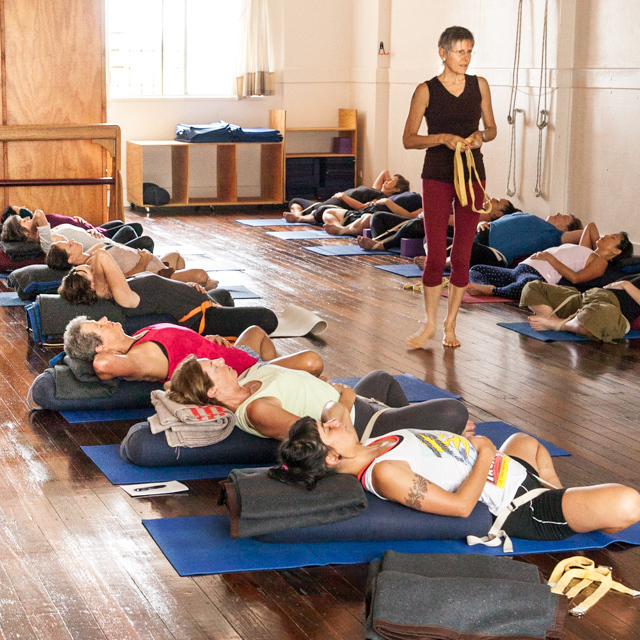 Based in Los Angeles, Garth studies annually with the Iyengar family in Pune, India. In addition to regular intensives, Garth offers workshops on the positive effect of yoga on MS and other neurological conditions.